Fantabulous Switzerland, a tour package of 5 nights and 6 days, is ideally designed for the travelers wishing to explore the best of Switzerland. The destinations such as Zurich, Lucerne, Mt Titlis, Lugano, and Swiss Miniature are worth visiting as these have one or the other unique attribute to enjoy. The experts at Indian Holiday have designed this tour package to ensure blissful vacation with lifelong cherished memories. After your arrival in the Zurich Airport, board a train to Lucerne. On your arrival in Lucerne, check-in to your hotel, freshen up and take a little rest. Remaining hours of the day are free to be spent at leisure. You may travel around the city on the road. Later, return to your hotel for an overnight stay. In the morning, after breakfast, enjoy an excursion to Mt Titlis. A joyful ride on the first ever revolving ‘RO TAIR’ gondola of the world is the major highlight. This ride provides 360° panoramic view of the Alps. Visit the Ice Grotto on the mountain and enjoy the new ‘Ice Flyer’. 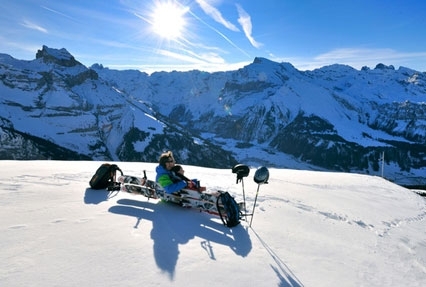 This is achair lift ride over the glaciers to see the mesmerizing views of ice falls, crevasses, etc.Snow slide on the ‘Fun lift’ is also worth enjoying. Thereafter, return to your hotel in Lucerne for an overnight stay. Post breakfast, in the morning, board a train to Lugano from Lucerne. Upon your arrival in Lugano, check-in to your hotel and freshen up. After taking a little rest, you may spend the rest of the day at leisure. You may explore the city on the road. Return to your hotel for an overnight stay. In the morning, after breakfast, enjoy sightseeing excursion to Swiss Miniature. 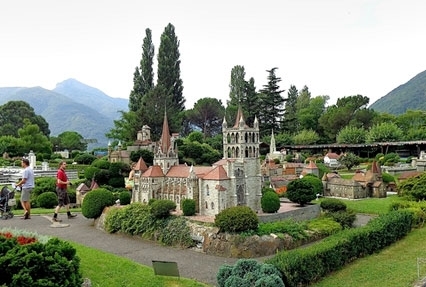 Located in Melide, on the Lake Lugano’s shore (Italian speaking part of Switzerland), it is an open-air miniature park. Return to your hotel in Lugano for an overnight stay. Post breakfast, in the morning, board a train to Zurich from Lugano. After your arrival at Zurich, check-in to your hotel, freshen up, and take a little rest. 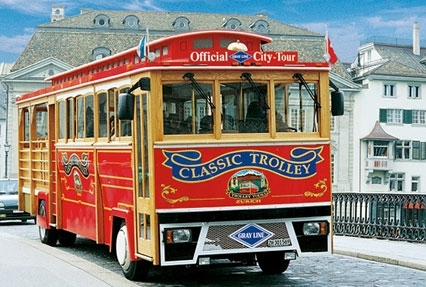 Later, take pleasure in Zurich Trolley Tour experience. 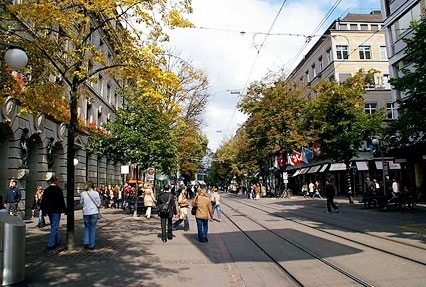 See the sights of the beautiful Zurich city and Bahnhofstrasse - the financial & business center. There also are major museums that make an important part of the Old Town. Later, return to your hotel in Zurich for an overnight stay. Post breakfast, in the morning, checkout and reach ZurichAirport on your own. Thereafter, board a flight for your onward journey.